SAN JOSE, Calif., July 9, 2014 /PRNewswire/ -- Flextronics FLEX -0.59% announced the recipients of its 2014 Strategic Supplier Awards that were honored last month. The Awards recognize outstanding performance, strategic value-add, excellent service and innovation by suppliers that exemplify what it means to be a strategic supplier at Flextronics. Balancing flexibility and a myriad of computational demands with the need for efficiency in web scale data centers drove Microsoft data center researchers and colleagues to examine hardware alternatives in a project known as Catapult. San Jose, Calif., June 23, 2014—Altera Corporation (NASDAQ: ALTR) today announced its Interlaken Look-Aside intellectual property (IP) core has been tested and is compatible with Cavium’s NEURON Search™ Processor. 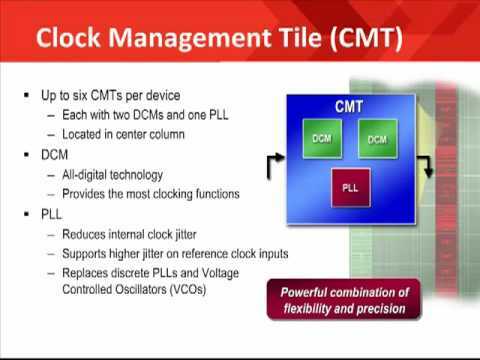 SAN JOSE, Calif., June 17, 2014 /PRNewswire/ -- Xilinx, Inc. (NASDAQ: XLNX) will highlight All Programmable solutions for 400GE applications at WDM Nice 2014. Through a series of demonstrations and presentations, Xilinx will showcase cutting edge solutions that offer vendors significant benefits and the ability to deliver end-product differentiation. Microsoft has been experimenting with its own custom chip effort in order to make its data centers more efficient, and these chips aren't centered around ARM-based cores, but rather FPGAs from Altera. Doug Burger called it Project Catapult. Burger works inside Microsoft Research–the group where the tech giant explores blue-sky ideas–and in November 2012, he pitched a radical new concept to Qi Lu, the man who oversees Microsoft’s Bing web search engine. He wanted to completely change the machines that make Bing run, arming them with a new kind of computer processor. • Strategic Cooperation Agreement to yield combined programmable RF and FPGA solutions and joint marketing, sales, and technical support activities worldwide. • Altera makes equity investment in Lime Microsystems as Lime begins to ship its programmable CMOS RF transceiver devices. Microsoft has made a radical decision to essentially replace the processors used inside servers powering Bing. Codenamed Project Catapult, Doug Burger at Microsoft Research has been working to not physically remove the Intel processors, but rather compliment them with field-programmable arrays (FPGA) processors by Altera. Flexible RF chip designer Lime Microsystems is teaming up with Altera in a deal driven by the increased adoption of the OpenCL programming language. The 'strategic cooperation agreement includes Altera making an investment in Lime and is focused on jointly developing programmable solutions for a wide range of broadband wireless markets. Microsoft researchers have been experimenting with using field-programmable gate array (FPGA) processors in an attempt to make its datacenters more efficient. SAN JOSE, Calif., June 3, 2014 /PRNewswire/ -- Xilinx, Inc. (NASDAQ: XLNX) will highlight All Programmable solutions for Smarter Networks at the Linley Carrier Conference 2014.